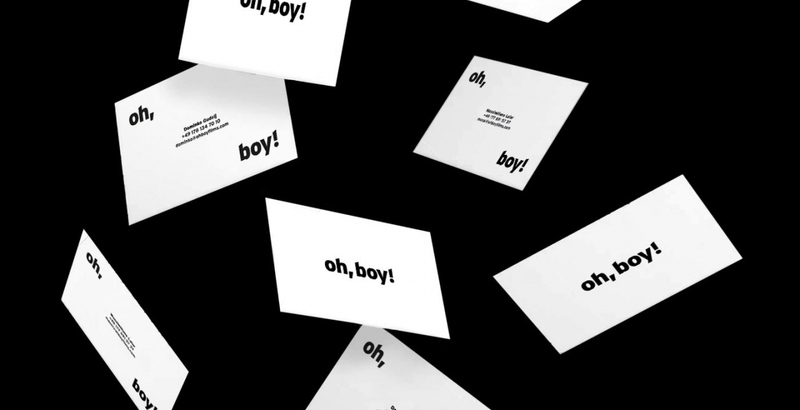 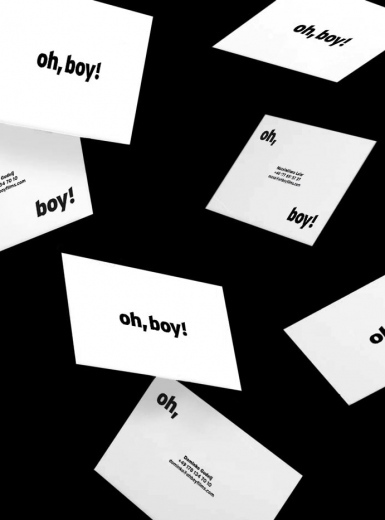 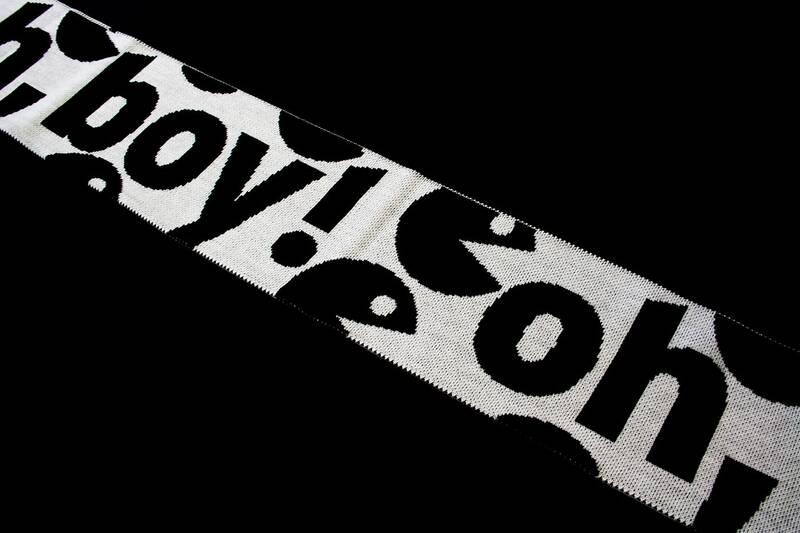 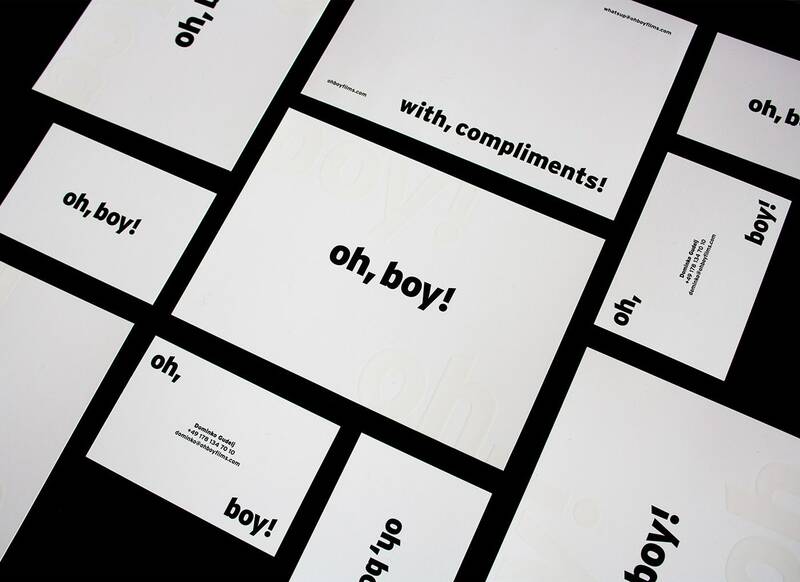 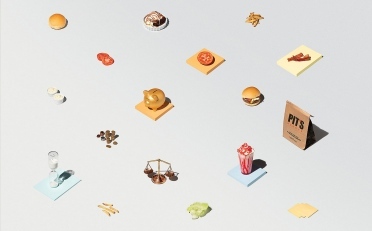 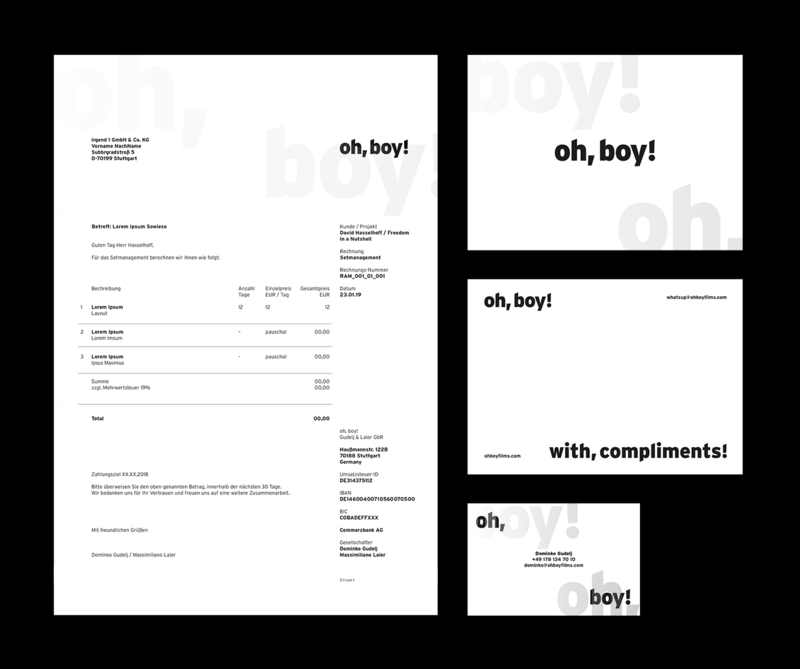 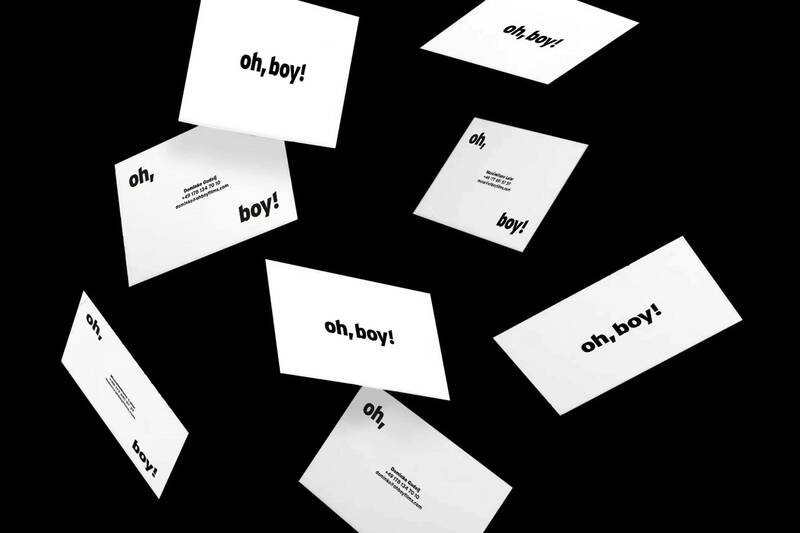 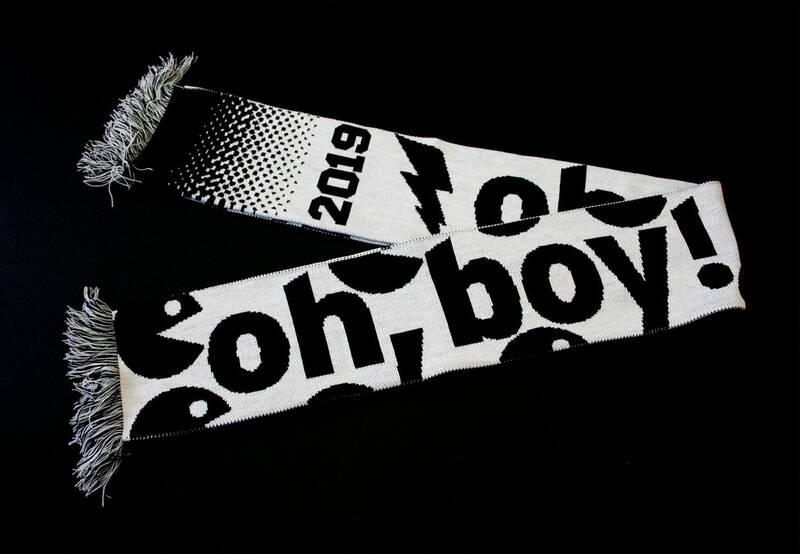 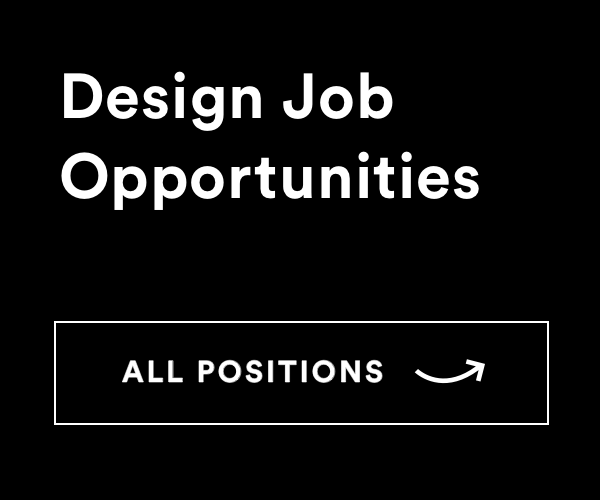 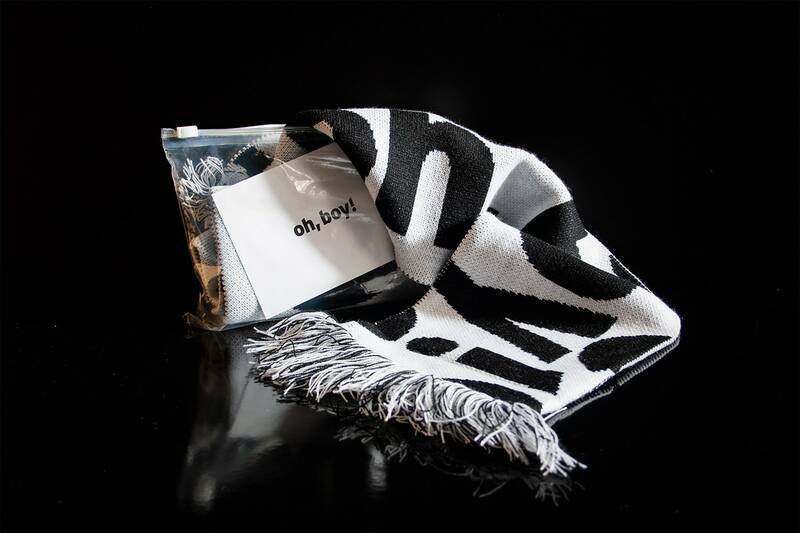 Great simple black and white corporate design for Oh Boy! 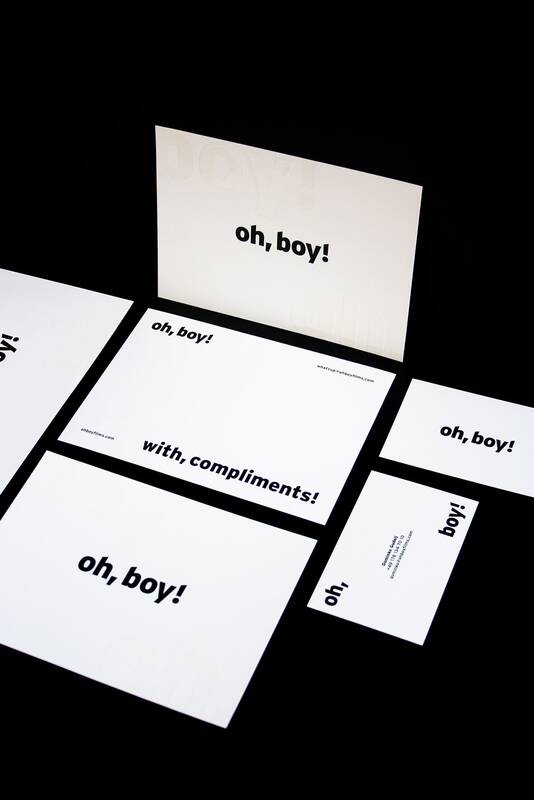 – a young film-production company based in Germany. 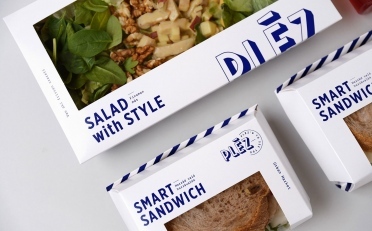 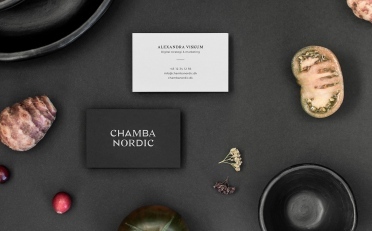 We especially like typography used and the font that the kitchen the design studio from Stuttgart Germany chose for thisone.